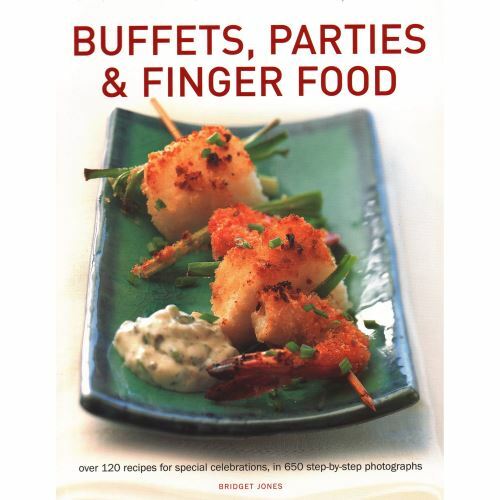 Whether throwing a cocktail party, a birthday buffet or having friends around for supper, this book has all the information and recipes you will need to plan ahead and entertain with ease. A useful section covers the basics of organising parties and special events, from planning and preparing to the food itself, with advice on making guest lists, seating plans, table settings, decorations and themed parties. There are over 120 delicious easy-to-follow recipes to help you put together the perfect party menu. Appetising party dishes include simple nibbles, finger food, dips and dippers, and there are recipes for informal brunches, lunches and suppers. Enjoy crowd-pleasing dishes such as Goat's Cheese Soufflé, Fillets of Sea Bream in Filo Pastry, Beef Wellington, and traditional Roasted Stuffed Turkey. There are also stylish salads such as the Peruvian Salad and refreshing Watermelon and Feta Cheese Salad. The section on outdoor eating includes barbecue and picnic dishes, including Seared Tuna Steaks with Red Onion Salsa, Barbecued Chicken and Herbed Greek Pies. Over 650 photographs will inspire and guide you, including step-by-step instructions and glorious pictures of every finished dish.